There is unlimited power in our brain waves. As we get back in the real world today, this excerpt from mastery written Bob Gandt and me shows one way to slow down in an accelerating world so we can accomplish more by doing less. “Meditation is to dive all the way within, beyond thought, to the source of thought and pure consciousness. It enlarges the container, every time you transcend. When you come out, you come out refreshed, filled with energy and enthusiasm for life. “It happens. You’ve undertaken a challenging mission, making progress on your goals, then you hit a rough patch. Your focus wavers. Self-doubt creeps like a dank fog into your consciousness. You’re going as fast as you can, and your brain is screaming at you to go faster. “Question: What do you do? “Answer: Slow down. Way down. “Does this seem counterintuitive? It’s not, and here’s why. “During most of your waking life your brain is engaged in a fast-track monologue during which every thought, every emotional link, triggers another thought. Then another. All day long your brain spins these thoughts about your work, your family, your finances, your mission. “Much of this spin is negative. It flows from what neuroscientists call your negativity bias, a survival instinct handed down from your Paleolithic ancestors whose attention was focused more on looming threats than on positive rewards. And correctly so, considering their exposure to predators and natural calamities. Like it or not, the fight-or-flight instinct is embedded in your genes—and it has a direct connection to modern day stress, anxiety, and depression. “But you’re not a Paleolithic human. So how do you slow down while your mind is raging against the latest stressful event in your life? “And at this point you may be forgiven for saying. . . whaaaat? You might be among those who think that meditation is some form of eastern ritual practiced by monks, hippies, and incense burners, but not by otherwise normal, productive, western-oriented people like yourself. No way. It doesn’t fit your rational persona. “It is estimated that somewhere near twenty million people in the U. S. practice meditation, and the number is swelling. Meditation is becoming one of the most-used therapies for stress reduction, healing, and problem solving. In recent years there has been an explosion of scientific data on the effects of meditation, much of it from studies using functional magnetic resonance imaging (fMRI) equipment to measure subjects’ responses to stimuli before, during, and after meditation. The more challenges we face, the more opportunity we have. 2016 looks as if it could give us many of these challenge opportunities. The way to turn, with equanimity, each hurdle from a curse to a blessing is by controlling our brain waves. Learn ways to control the mind beyond meditation. Here is Merri and pronunciation coach Don Childs. We conducted the course at the Mt. Dora Chamber of Commerce where they have converted the baggage room of an old train station into a charming meeting place. ten years and up. Delegate Roxy Bondhus and her son Saul at the course. A key themes in this course is the importance of “thriving on imperfection”. This may seem unusual but the reason we focus on ignoring the minutiae is that the system works. The course teaches communication… not grammar! No one learns to ride a bike perfectly before getting on. No one learns to speak a language perfectly before speaking it. Yet most educational systems try to teach all the grammar before they focus on how to communicate! A Livescience.com article “CIA Seeks Anyone, Anyone Who Can Speak 2 Languages” shows why imperfection in learning a language is perfect. Then the article sums up when it says: Another surprise came from studies of Spanish-speaking immigrants, because neither age nor language proficiency seemed to predict how quickly the immigrants picked up English. Instead, the fastest learners showed both the greatest motivation to learn and a willingness to use English at every opportunity despite being bad at it (at first). This is why Super Thinking plus Spanish works. This three day course gets the delegates speaking and thinking Spanish in a way that allows them to use and/or think Spanish every day… and not badly at all even from the beginning. In this way the education grows even when Spanish is not being spoken. The Super Thinking course first integrates the brain. 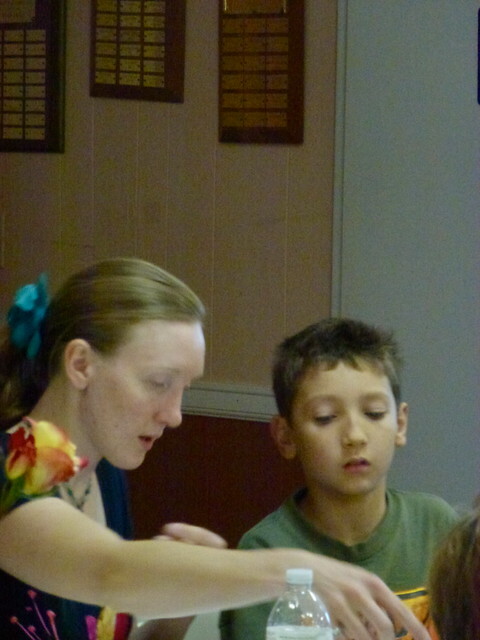 Students learn better with relaxed concentration. Then the course teaches them 17 simple lessons so they know 4005 words in Spanish and can use them to create sentences. In this way, when you seek to communicate and ignore conjugation and grammatical perfection you can learn Spanish in just three days. One delegate at the course wrote: Thank you so much for the incredible Super Thinking and Spanish course. Learning Spanish was not on my radar until a friend told me this particular program and the special way it is taught. As a life long learner, of particular interest to me were the methods that you employed with specific music, meditation etc. The combination of your subject matter expertise, your commitment to an optimal learning experience for the class, and your genuine and delightful way of being was nurturing and inspiring. Join us or a Super Spanish teacher at a winter Super Thinking + Spanish course. 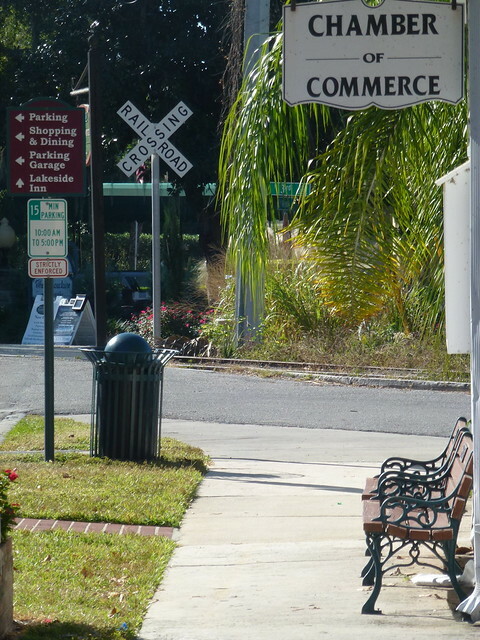 January 11, 12, 13 in historic Mount Dora, Florida. The blind leading the seeing? When our leaders do really stupid things and the public goes along, we might ask “Are the blind leading the blind? The answer actually is yes… when leaders try to use logic to see into the future they are blind. Logic is not enough to foresee our future. The best laid logical plans are subject to failure due to the tyranny of reason. This is especially true in these times when jobs, careers, valued skills and industries are transforming at an unheard-of rate. Change and uncertainty make us and our leaders risk-averse and prone to getting stuck. The skills we and our leaders are taught work well for familiar situations. None of us are trained to perfect our ideas and use the past to predict the future with linear plans in a nonlinear world. To see ahead we have to become blind to what we learned in the past. Then we have to learn better ways to tune into reality. An Andean yatchak taught us one way when we were hiking in a sacred valley on narrow paths like this in the Llanganatis. Here I am with Merri and Dr. Jay Glaser at entrance to the valley of longevity. The yatchak told us to look ahead… then close our eyes and walk on and know where to safely go. He taught us to use the forces of nature, that we are within, to guide us. Let me hasten to say: “DO NOT TRY THIS ON YOUR OWN”. You may walk off the path and hurt yourself. This lesson was the culmination of years of work and study and the yatchak was there watching, encouraging and protecting us. His message to us again and again was, “Become blind so you can really see!” We learned to let the eagle (liner logical thought from the mind) and the condor (subconscious non liner feeling from the heart) to fly in the skies together. We were not told to just abandon the eagle and blindly walk a blindfolded path. I was thinking of this when I read this note from a reader. DEAR GARY I KNOW YOU WANT TO MAKE MONEY USING ECUADOR BUT DON’T TELL ME PEOPLE CAN LEARN A LANGUAGE IN THREE DAYS PLEASE! I replied: Hundreds who have attended this course would disagree as you can see from their comments. These testimonials are unaltered. The area I have marked in bold highlights our goal in the course and we get this from delegates again and again. Plus delegates have other really remarkable changes in their lives. I will forward to you in a moment one delegate who regularly used medical marijuana and after the course stopped the habit. What this courses share is about much more than just speaking Spanish in three days. In fact our statement is that the course is about Super Thinking and we teach you Spanish in three days just to prove how powerful you truly are. Super Thinking may help you and that reader be happier and more successful in these times of change because one of the techniques we use in our Super Thinking courses actually can and has helped the blind lead the seeing. Before I explain this aspect of Super Thinking, let me share a story about how Merri and I met and what led us to know and share this Super Thinking technique. Many years ago Merri was the executive editor of Gulfshore Life… an award wining magazine in Southwest Florida. At that time… that area of Florida operated on a seasonal (winter) basis. So, she simply took the summers off. 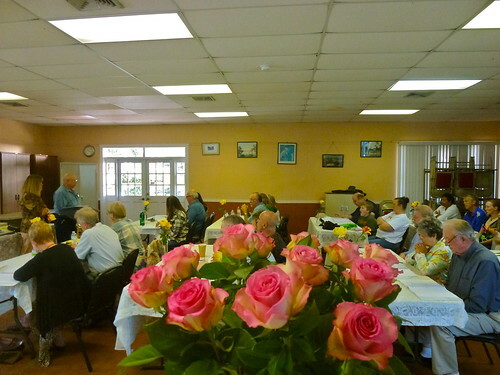 Having read the book “Psychic Discoveries Behind the Iron Curtain” by Ostrander and Schroeder, Merri contacted Dr. Carl Schleicher who was offering a special summer course on Super Learning taught by Dr. Georgi Lozanov. Lozanov was a brilliant educator who had transformed the Eastern European way of learning and thinking. This all took place during the Cold War. Dr. Schleicher was one of the few people who could pull off the feat of getting an important Soviet asset out of Bulgaria at that time. To understand how Schleicher pulled this off one needs to see how he was formed by his training at the U.S. Naval Academy in Annapolis (he graduated with honors) where he received a bachelor’s degree in mechanical engineering. He was then further shaped into an unusual future when he was awarded a Rotary Foundation Fellowship and studied at the University of Cologne in Germany, where he was engaged in advanced study at the Universities of Bonn, West Germany and Lund, Sweden. He was a Ph.D. candidate in the Technology of Management at American University. During the time when he worked overseas for the Navy his unusual career path was formed. He served as an intelligence officer in linguistics in the US Navy. He spoke six languages and was an interpreter for President Eisenhower and Attorney General Robert F. Kennedy. This background and these connections led him into developing war games and publishing in The Journal of Electronic Warfare. This interest and his fascination with dowsing started him thinking about and using dowsing… but not for water. His dowsing was for Vietcong in tunnels in Khe Sanh for the Marines. After leaving from the Navy, he became a member of the AFIO (Assn. of Former Intelligence Officers) he returned to the United States and moved to Silver Spring, Maryland. He authored many scientific papers and was a professor at American University and the University of Maryland. This background led Schleicher to a meeting with Ostrander and Schroeder, authors of “Psychic Discoveries Behind the Iron Curtain”. He obtained their unfiltered Soviet research and had it translated. This study led to one of Schleicher’s greatest contributions in the field of superlearning. Volume. 25, “Journal of Accelerating Learning & Teaching” (Kelly & Morrissey, 2000) which popularized the research of Dr. Georgi Lozanov of Bulgaria. With a grant from the US Dept. of Health & Human Services, he set up a course with the American Technical Institute to train blind computer programers. He was the only person with the know how and the patience to strike a deal with the Bulgarian Government at the diplomatic level for the rights to Lozonav Learning. He opened schools for stress-free learning of language, memory, creativity. The musical whole brain approach was for learning, retention and motivation. He had an unusual grasped of Communist science and helped bring the Lozonav method into business schools in the US and Germany. He also helped bring Lozonav to the USA to teach a select group of students. Merri was one of these very few trainees and she has carried on the word she learned from them. 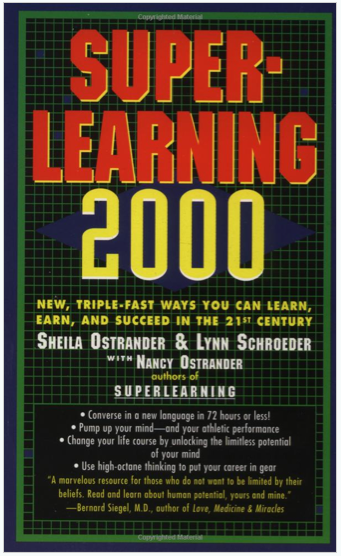 Sheila Ostrander wrote two additional books about Super Learning, Super Learning and Super Learning 2000. Mark Rew, twenty-four who’d been blind since birth, read Super Learning in Braille and realized that an audio system that enhances memory could be a boon to the blind. 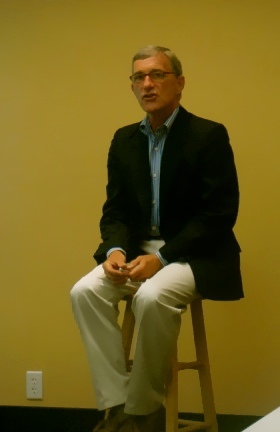 He contacted Dr. Carl Schleicher at the Lozanov Learning Institute in Silver Spring, Maryland, in order to learn additional techniques. As of April 1984 Rew’s career took a big leap forward. He was a computer programmer. Suddenly he had expanded skills for trouble shooting. His supervisors were so impressed , they asked him to check out programming problems. Using his new skills in relaxation training and visualization plus the slow Baroque music that facilities a connection to the subconscious mind, he found it easy to mentally picture an entire computer program. He could remember it and see it in his mind. “I can mentally find bugs because I can see what’s happening with the program,” he says. He didn’t even have to go through the Braille printouts. He developed a talent for visualization like the great Nikola Tesla, who could run entire experiments in his mind. Schleicher, director of the Mankind Research Foundation, realized that other blind people could benefit the way Rew had. “Mark was an inspiration,” says Schleicher. 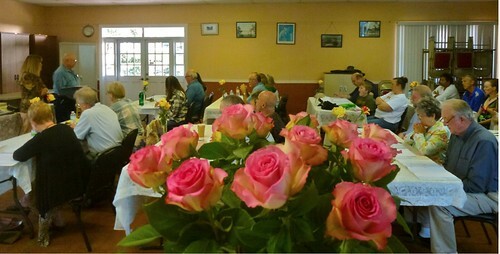 With a grant from the U.S. Department of Health and Human Services, he helped the Lozanov Learning Center set up a course with the American Technical Center for Rew and a sighted consultant to teach other blind computer programmers. In class, blind students along with their Seeing Eye dogs, practiced relaxation training. The technique helped open a whole new range of high-paying job opportunities for blind persons in the rapidly expanding computer and information processing industries. This Superlearning program for the blind proved so successful it won an award from the President’s Commission for the Handicapped. If the blind can see entire computer programs and how they work… isn’t it possible that we can learn a language in three days? Let me add quickly that Super Learning is just one of seven educational tactics that are used to bring delegates to fluency in such a short time. The course was taught in English by Dr. Glenn Sterling, a witty, engaging, retired chiropractor, and Alberto, his Ecuadorian side kick, who made sure we learned to pronounce everything correctly. 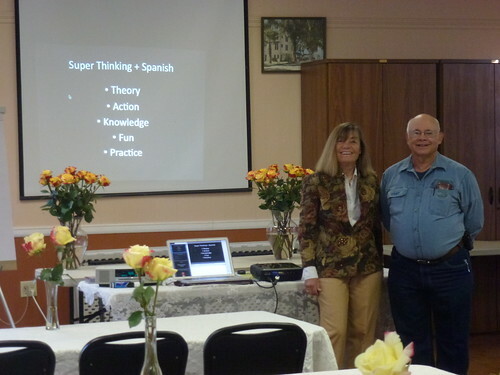 This delegate outlined two of the keys in the Super Thinking + Spanish course. First, to help students get into a state of relaxed concentration where the human form can take advantage of its full learning ability. Second, to get students to a place in three days where it is fun and easy to make oneself understood in simple Spanish conversations, such as buying groceries or ordering a meal all in sentence form. Lozanov taught that society is a victim of education. This makes sense that in a sick society the educational process would also suffer ailments. Government stupidity is a sign of a sick society and usually the malaise will affect all the institutions of the establishment… executive… legislative… judicial… medical… military and law enforcement as well as educational. Yet even if our society has a cold, we do not have to sneeze nor be led by the blind. We are from the infinite and this outstanding energy is within. We hope that sharing the lessons we have learned over the years will help you use more of the super thinking abilities you already possess! You can read a free report on how to use Super Thinking to improve your health and gain wealth by clicking here. Learn more below about how Super Thinking + Spanish works. 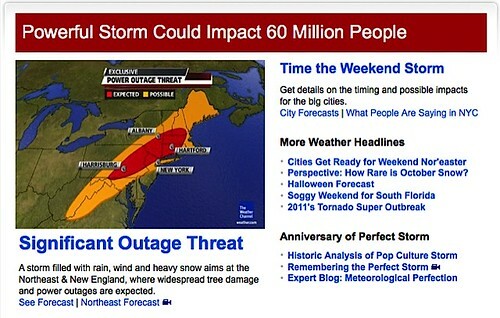 According to www.weather.com. this weekend will be a storming mess up north. 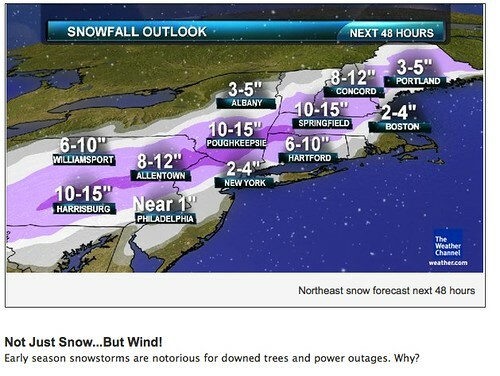 Here is what the weather site said yesterday. If you live in this area that will be covered in snow. See how to avoid this below. 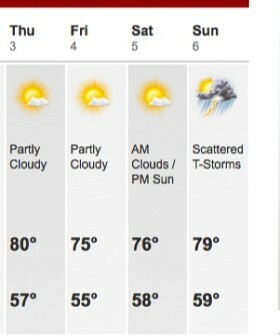 If you have always wanted to learn Spanish, look at www.weather.com’s weather prediction for Mt. Dora for the weekend. We have two places left for the course if you would like to join us… learn Spanish in the sun and miss this October storm. 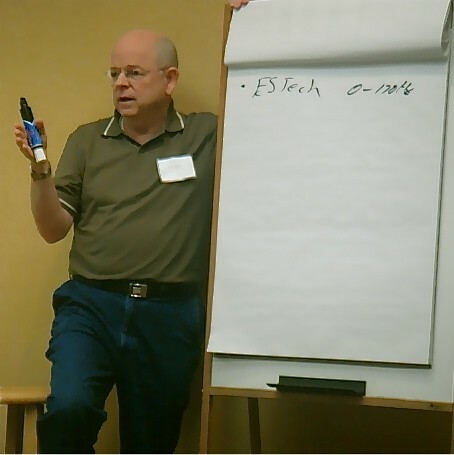 One way to build your own micro business is as an FM teacher. Learn to teach Spanish in an accelerated method. 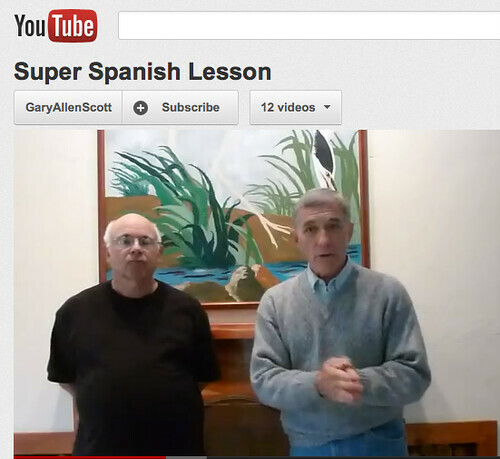 Plus see how to learn a special way to teach English to Spanish speakers. Replace Merri and me. We have too much to do! See below why our Spanish teachers are forbidden to speak Spanish when they teach. They must teach Spanish in English, but they can teach English to Spanish students as well… in English! The educational program Merri and I have developed uses a different form of frequency modulation we like to call “Full Mode” that opens enormous opportunity for expansion, understanding, peacefulness as well as greater wealth. We are sharing this in depth program with a select few through our new teacher program. FM teaching uses frequency (in music and a number of other ways) to integrate brain waves so the process of absorbing, processing and recalling information is vastly accelerated. This brings forth the three C’s: Calm, Clarity and Coherence. How the Quantum Learning History Brings Opportunity to You Now. Our FM programs are not gimmicks or tricks… just advanced education. Merri and I are explorers. Our business began 44 years ago (May 1968) and we continue to always look for what’s next… trying to stay on or ahead of the leading edge. Merri was among just a few who learned the Lozanov method directly and has enhanced this system with numerous other tactics. One is to make slight alterations in nutrition. Altered nutrition can make anyone a person 25% smarter. These two tactics are given in seven, easy to use learning techniques that help gain any skill, from computers to athletics to conversational languages… in much less time than traditional learning techniques… often two-to-five times faster, in exciting and innovative ways…but most of all it is a system that is stress free and full of fun. 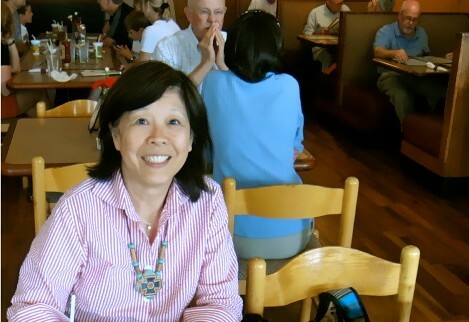 Lorraine Shane replace Merri and me and taught in Seattle last September and are continuing every quarter. Our Quantum Learning System helps in innumerable walks of life. This is why the second year of our teaching program offers extra opportunity for you now. There is a huge and growing problem of accelerating change that requires accelerated learning. Learning Spanish is just a tiny part of the demand this problem creates. Expended learning capacity is far more valuable than just being able to speak Spanish. So we are expanding the FM focus in our business… shifting into overdrive you might say with what we call FM Plus. FM Plus incorporates Frequency Modulation… 7th degree exploration and Core Revelation (wormholes – universal expansion and shortcuts) to expand the learner’s thinking and information processing ability. We’ll do this through our FM Plus Process which we have been using in our Super thinking Plus Spanish course. Now we are integrating this process into our International Investing and Business courses as well. This means we’ll provide this training six times in the US in 2012. The demand for FM far exceeds the numbers Merri and I can handle in six seminars a year. Because Merri and I don’t have time to do more seminars we have been adding a teacher training program to replace ourselves. The teacher training program is described below. This is our second year. Last year was our initial Beta program and though we are always learning and teaching we had never trained teachers before. You’ll see some results below. We accepted 12 trainees in 2011 for our first FX Plus training plan. Now we are accepting 12 more for 2012. 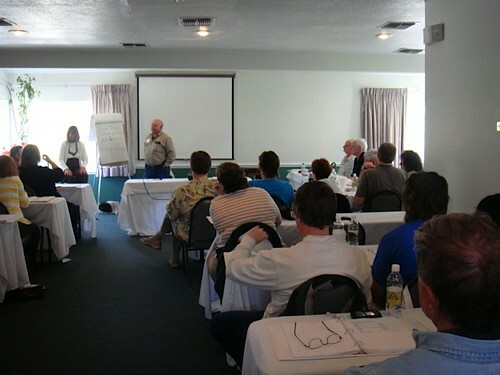 Trainees can attend all the seminars we conduct in 2012. They are asked to attend at least four of these seminars. June 22-24, 2012 International Investing & Business Made EZ, Jefferson, NC. 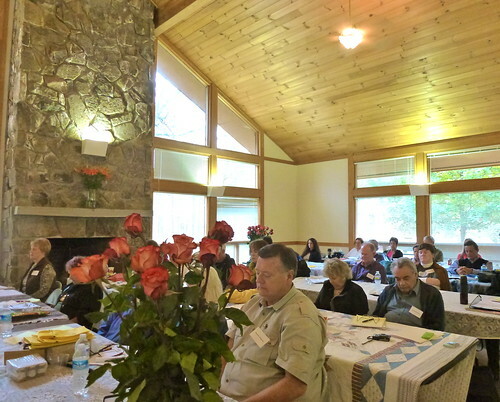 October 5-7, 2012 International Investing & Business Made EZ, Jefferson, NC. You save by being a teacher. $5,994 of seminars and courses for $2,900. This saves $3,094… plus there is $1,265 more savings in online courses you also receive free. 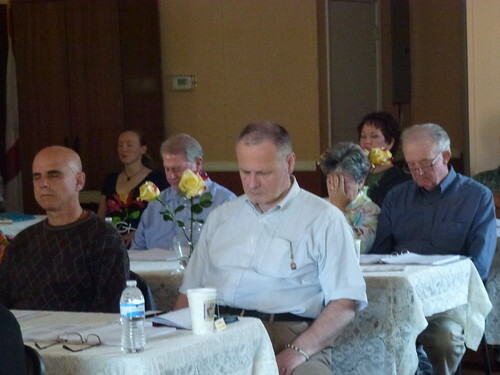 However the teacher training is the real value you receive in this program. You learn at the courses and seminars and we have special trainee sessions during each course that are invaluable. FX Plus training plan teaches how to teach and how to create your own business simultaneously. Each trainee gets seven additional online benefits. Sixth you become a beta member in our newest online course “Event – Full Business – How to have a Seminar and Tour Business” currently offered at $349. These online courses are valued at $1,265. You receive them free in addition to all the seminars above you attend. #2: How to build a seminar business. See the one day Washington-Atlanta-San Francisco system that helped our courses evolve and how to use this approach to help your teaching grow. Gain strategic partnerships for added wealth. #3: When and when not to use other speakers. Seminars for speakers… a way to get it all out as your bank accounts gets it all in. .
#4: How to use other speakers. Gain the key to the room and the people within. Why the golden pen is mightier than both a glib tongue, the sword and the overloaded brain. #5: Dealing with hotels. Why the marketing does not talk to catering who will not communicate with accounting and the mess this means for you. How to chose… arrange and survive the hotel. Forget the $11,314 coffee bill… for swill. #7: Creating back end business. How Merri made $12,936 dollars in 37 minutes by just standing still. #9: The importance of strategic partnerships. #13: The benefits each of big seminars and small courses. #14: How to survive the dreaded problems. What to do when enrollments are low. Handling the heckler, the takeover and the unmuted cell phone. When the hotel fails. Surviving speaker no shows and all of those types of things. When it comes to having a micro business in online publishing, seminars, courses and tours, there are few people with more experience than Merri and me. Over 44 years we have organized, marketed and conducted thousands of tours for tens of thousands in dozens and dozens of countries (even behind the Iron Curtain). This course shares how we have done this… what we did right… what we did wrong… and what you can do better. We have built 30,000 addresses on our mailing lists and reach thousands of readers every single day and our lists continue to grow. 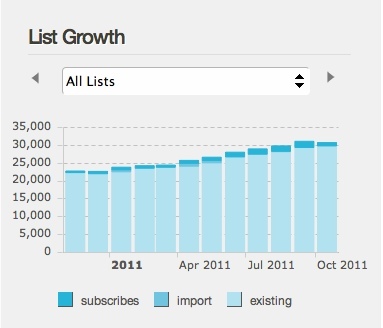 Here is our 2011 list growth chart. 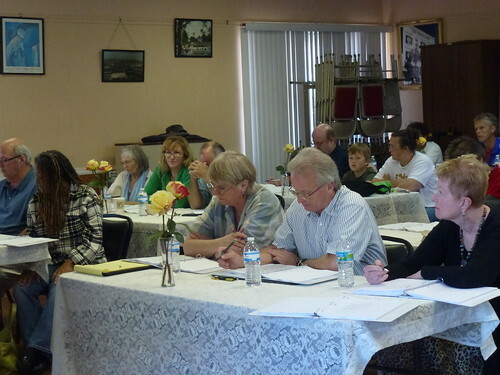 We have several areas of focus in our publishing and seminar business. Focus #1: Super Thinking Spanish. 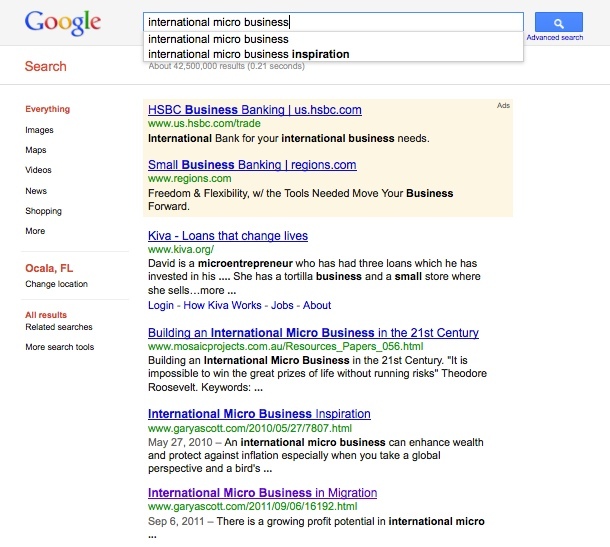 As of Oct 21, 2011 we ranked #1 & #2 for that phrase at Google. Focus #2: International micro business. Our site ranks #3 & #4 at Google. Focus #3: Ecuador Living. 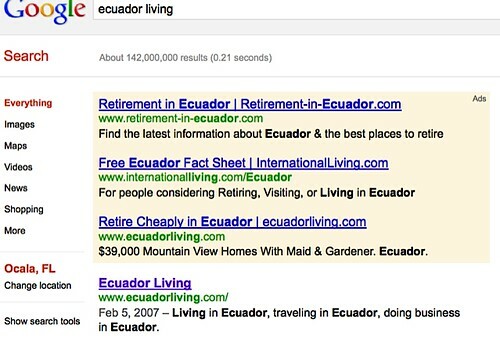 Our www.Ecuadorliving.com sites ranks #1 at Google. 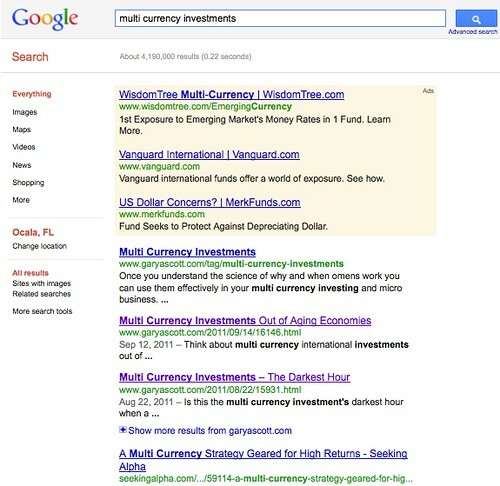 Multi Currency Investing. Our site ranks #1, #2 and #3 at Google. The courses and seminars we provide help you learn how to gain customers and develop lists and rankings. We have worked with our first group of teachers since last November and are pleased enough with the results that we are inviting 12 more teachers to begin now to prepare for 2012. Our goal is for these teachers to work in their own ways and methods. Some of the current teachers have chosen to teach our Super Thinking Spanish course. 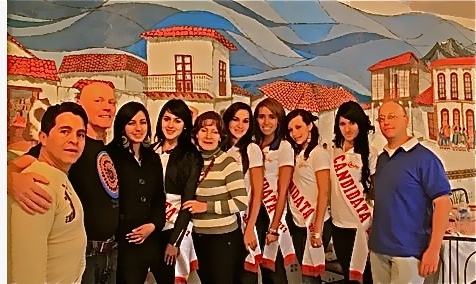 To date trainees have taught three Super Thinking + Spanish courses, two in Ecuador and one in the USA with good results. Our current plans are for several of the 2011 trainees to conduct regular seminars over the next year. 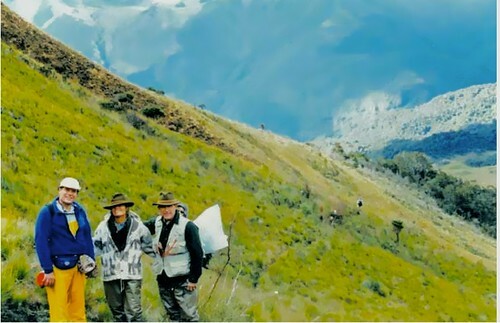 Bob Girka (right) and Glenn Sterling (2nd left) replaced Merri and me and taught Super Thinking plus Spanish in Cotacachi, Ecuador. Teachers of our Spanish program do not have to speak Spanish during the course by the way. In fact even Merri out of the basic teaching from Lozanov respects his wishes that only native speakers speak. This is because the course uses and FM teacher and a pronunciation coach who must be a native born Spanish speaker. Picking up pronunciation from an English born speaker is like recording a tape from a previous recording. Quality is lost! The FM teacher… including Merri and me work in English and work with a pronunciation coach who does all the Spanish speaking. Others are teaching their own programs using the tactics they learned to help their own business. For example it is quite easy to reverse the process we use and teach Spanish speakers to communicate in English in just four days. 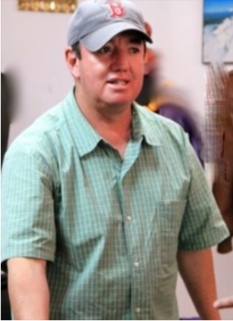 Alberto Verdezoto is our pronunciation coach in Cotacachi, Ecuador. Since this is a Beta program it will continue to evolve. We cannot guarantee who we will work with and who won’t. Becoming a trainee does NOT guarantee that you will become a teacher in our program. Indications after 10 months are that eight of the 12 trainees in 2011 will be involved in teaching our Super Thinking course but this is no assurance for 2012. Our training will teach you an effective way to teach languages but covers much more many… perhaps all fields of education. For example. we teach at the International Business & Investing seminars we conduct a workshop on how FM Plus can be applied to starting and running a business, to forex trading and investing. Athletes of all types… golfing being one common sport benefit. The Soviet Union… even though a third world country… excelled in the Olympics… as well as beating the USA into outer space… because it integrated FM teaching tactics as developed by Dr. Georgi Lozanov (one of Merri’s teachers) into its educational system. Our FX Plus plan goes far beyond Lozanov and allows you to enhance whatever subject you wish to teach. When you become an FM Plus Trainee, you are automatically enrolled in our International Club which allows you to attend all of our investment, business, and Spanish courses in 2012 (worth over $5,994) FREE. Plus you receive all seven of the online programs worth $1,265 and described above FREE. Plus you are entitled to attend all teacher training sessions. Your actual training begins in 2012 but here are two more bonuses. Bonus #1: One more FREE course. 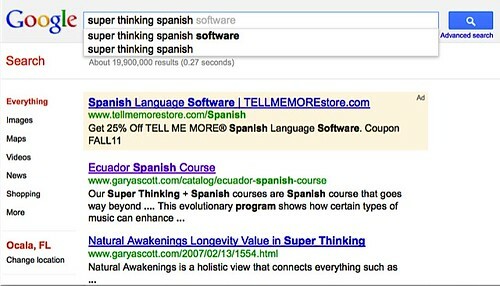 If you enroll with the full payment now you can attend the November 3 to 6, 2011 Super Thinking + Spanish course FREE. You save $999 more. Bonus #2: Couples are priced as one. Merri and I have worked for 30 years as a couple. Our business would not exist without both of us… so a couple can attend for one fee. #2: $259 per month for 12 months. We hope you’ll join us for at least five of them as a trainee in our FM Plus (Frequency Modulator) training plan.